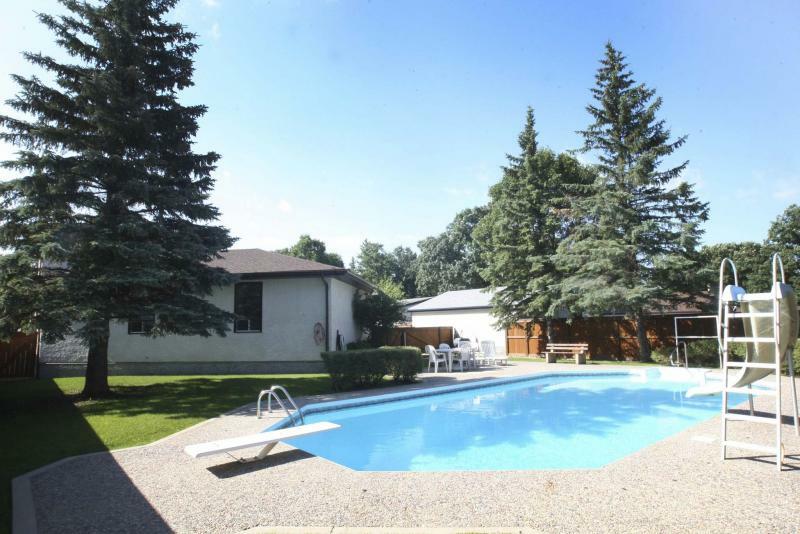 The huge backyard features a swimming pool and beautiful landscaping. The master suite offers a walk-in closet and three-piece ensuite. 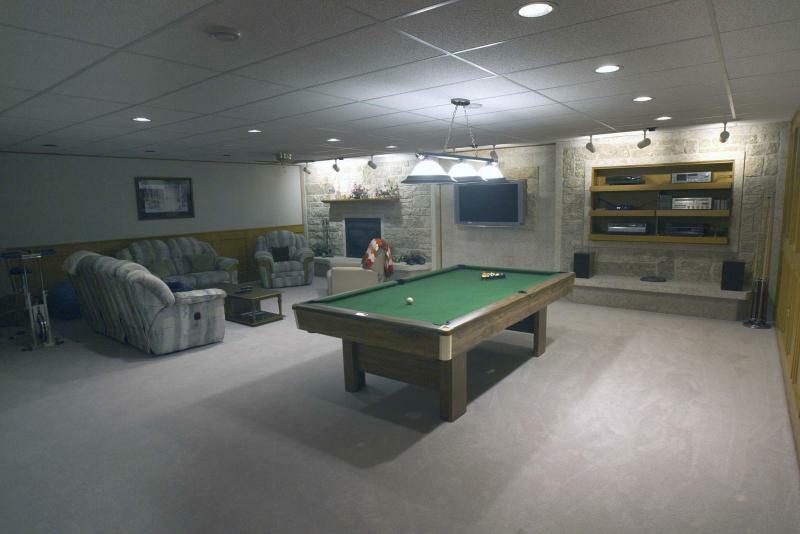 The basement has a spacious rec-room with a stone feature wall with fireplace. Not to be lost in the shuffle is the fact the home — which offers 3,300 sq. ft. when you combine the main and upper levels, and another 1,800 sq. ft. of developed space downstairs — has also been upgraded extensively by its outgoing owners. "The list of upgrades is impressive," said Queen. "The shingles were redone in 2015 along with exterior stucco, and the home was clad in long-lasting steel siding in 2009. In 2012, two Lennox furnaces were installed along with two Carrier central air-conditioner units and a Rheem hot water tank with lifetime leak-proof warranty was also installed. New PVC windows were also installed in 2015." While upgrades are always a consideration when buying a home, so, too, is a home’s livability. In short, does a home have the layout and space required to ensure it functions well in the face of the rigours of daily life? In the case of 1145 Des Trappistes St., the answer is an unqualified yes due to two key factors: space is abundant, and the layout makes sense. Although the home was built just more than 30 years ago, its forward-thinking floor plan allows it to function as well as homes that have been built in the last 10 years or so. An example of the home’s functional floor plan is the kitchen/dining room area, said Queen. 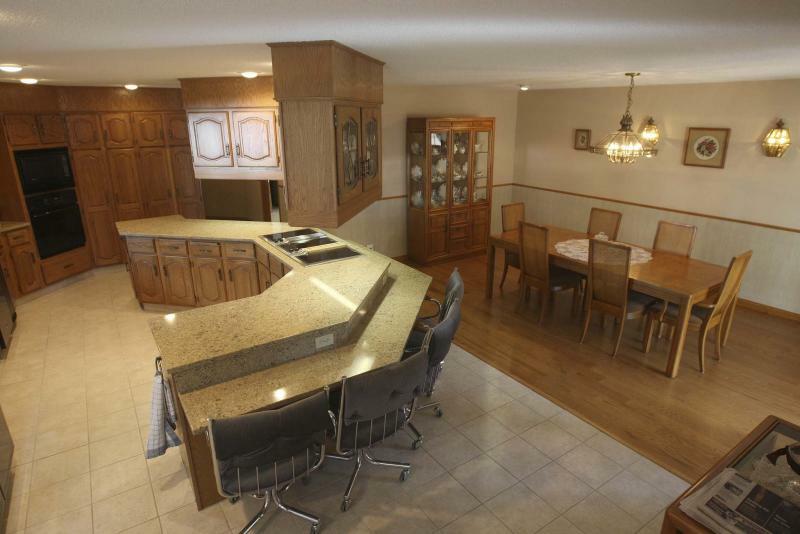 "Back in the mid-1980s, it wasn’t the norm for a kitchen to open onto the dining room, but with this home, you actually have a huge kitchen (25.75 feet by 13.5 feet) with an island that opens directly on to a spacious (17.8-foot-by-10.75-foot) dining room. It’s a perfect area for entertaining. The kitchen features newer Cambria quartz countertops (2011) a newer Kohler sink and tile flooring. The dining room is adjacent to the kitchen and provides access to a beautiful, south-facing sunroom." At the same time, the living room is only steps from the kitchen/dining room. "It’s a grand space that comes complete with a 19-foot-high ceiling and south-facing picture windows that allow for the entry of plenty of natural light," she said. "There’s also an area off the living room that features extensive built-in cabinets and bookshelves with a series of pot lights on the ceiling above." The home just keeps getting better from there. The rest of the main level contains a laundry room (again rare for 1985), office, master suite and two big bedrooms — as well as a four-piece bath. "The master suite features views to the deck via a large bay window and offers a huge (12-foot-by-six-foot) walk-in closet as well as a three-piece ensuite," Queen said. 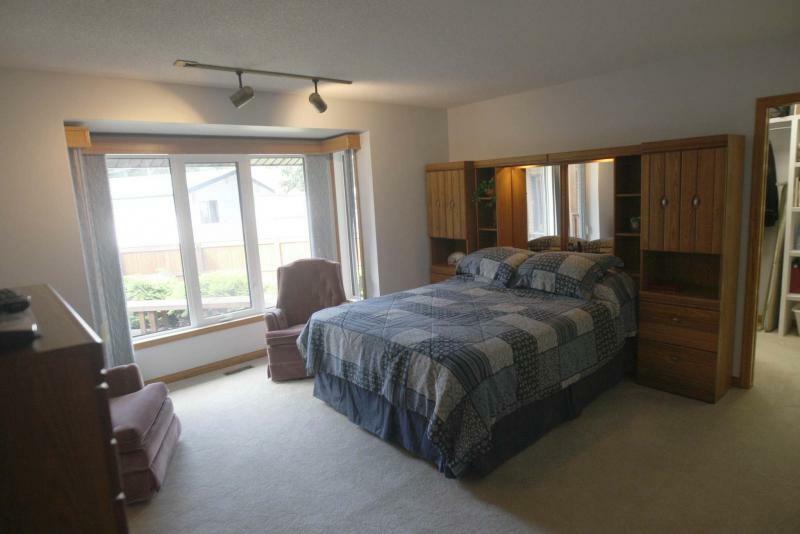 "The second bedroom has a walk-in closet, and the third offers plenty of storage space via a deep double closet." Take the extra-wide staircase upstairs, and you’re greeted by a rare sight — a master suite fronted by a loft/library area, of all things. "The loft/library area provides access to the home’s upper deck, while the bedroom features wall-to-wall-closets (21 lineal feet) and a five-piece ensuite with his/her sinks, granite countertops, soaker tub, tile floor and stand-alone glass/tile shower." Then, there’s the basement with its 1,800 sq. ft. of finished space. "It includes a huge rec room with custom (Tyndall) stone feature wall, fireplace, media area, plenty of space for a pool table, built-in entertainment unit and wet bar equipped with an industrial refrigeration system, dishwasher, trash compactor and icemaker," she said. The features don’t end there, said Queen. "There’s also a full hot tub room, sauna and four-piece washroom. It’s an area suited perfectly for entertaining or just relaxing at home in style." Finally, there’s the expansive, resort-like backyard that’s a perfect spot to entertain in unfettered style or frolic with the family. "It’s fully fenced and features a 40-foot-by-20-foot pool, pool house (nearly 500 sq. 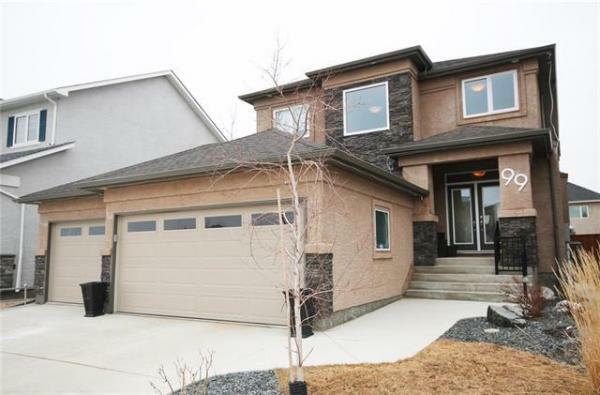 ft. over two storeys including balcony), plenty of patio space and a good amount of greenspace. It’s just a beautiful area." Although you feel like you’re in a world of your own, you’re only minutes from stores, services and other amenities in St. Norbert, Fort Richmond, Richmond West and Fort Garry. "It’s an amazing, meticulously maintained home in a wonderful location," concluded Queen. "It’s solid, functional and beautifully finished and offers exceptional quality and value in every area." Open house: Sun., July 21 from 2:30 to 4:30 p.m.